Will Mitt’s Budget Ax Have An Oedipus Complex? 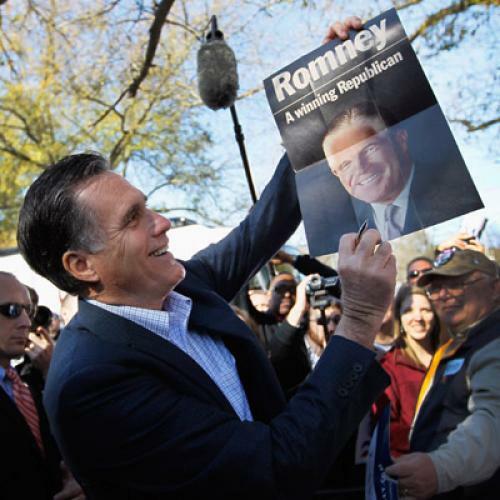 It’s been hard to pin down how Mitt Romney proposes to balance the federal budget even as he slashes tax rates across the board, as he now proposes to do after coming under conservative fire early in primary season for tax-cutting timidity. Like House Republican budget guru Paul Ryan, Romney has refused to spell out how he would apportion the proposed deep spending cuts, the better to avoid Democratic attacks over said cuts. What makes Mitt’s training his sights on HUD especially odd is that as governor of Massachusetts, he eagerly took up the mantle of his father’s enthusiasm for aggressive housing reform, as part of his push to encourage high-density, walkable, “smart growth” development. But of course, that was before the first great Etch a Sketch shake of 2005-2006. Now, he is the candidate who stands by smiling as South Carolina Governor Nikki Haley declares that President Romney will let South Carolina do whatever it wants when it comes to voter ID laws, regardless of whether it conforms with racial discrimination laws; and, apparently, the candidate who offhandedly suggests eliminating a federal department of several thousand employees that oversees public housing and rental vouchers used by millions of Americans, among other duties. Take that, Dad!